The site of Guy Fawkes’ confession of treason at the Tower of London is to be part of a select group of historic buildings receiving a “green makeover”. Historic Royal Palaces, the charity managing the properties, has launched an enormous insulation project in the Queen’s House at the Tower of London, located in Tower Hamlets. The project, which is supported by British Gas and insulation specialists Rockwool, also includes Hampton Court Palace and Kensington Palace’s Orangery. Care will be required when installing the insulation in rafters that are over 500 years old. The scheme is expected to save the palaces a collective total of £130,000 in fuel costs and reduce their CO2 emissions by 850 tonnes. The huge savings to energy bills will give the charity additional resources to preserve these important UK heritage sites. 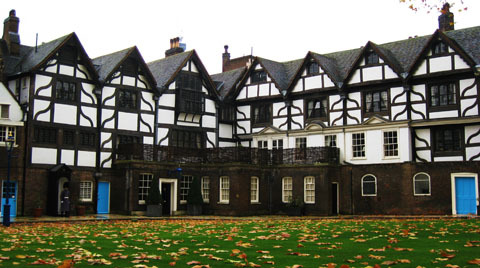 The Queen’s House is one of the few Tudor buildings to have survived the Great Fire of London in 1666. 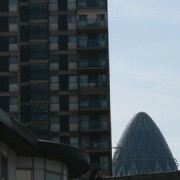 It stands on the site of Anne Boleyn’s trial in 1536, prior to her execution just outside on Tower Green. In 1605, Guy Fawkes was interrogated in the building over the plot to blow up the Houses of Parliament. Michael Day, Chief Executive of Historic Royal Palaces, said: “These great palaces have stood the test of time over hundreds of years. Today we must make sure they are suitable for a new low carbon future.